GWRRA Members have complete, free access to Wing World Magazine online, including not only the open article sections of the website that are available to everyone but also the password protected, full-length magazine online available from the Member Portal. In addition to the online version Members receive free access to the iPad, Android, and Kindle versions of the magazine as well. This is the support page for the iPad application. If you don't already have the Wing World iOS app you can get it here. 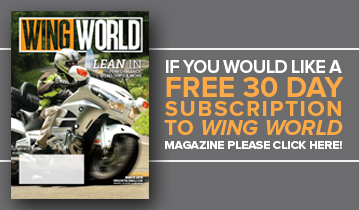 Use the easy-to-follow steps below to get started with your Wing World Magazine iPad application. If you need further assistance, please contact Member Services using the contact information at the bottom of this page. For GWRRA Members your username is your six digit membership number. Your password is the first set of numbers in your address, followed by your four digit expiration date. MMYY If you are a life member use "life" instead of MMYY. If you already have an issue downloaded, great! Use these techniques to easily navigate each issue.